When you buy a new pair of shin guards, you’re often stuck with the lackluster fit that the pre-molded plastic provides. You no longer have to settle for that pre-determined fit since Cobra Shinguards have created re-moldable shin guards that provide a truly custom, comfortable fit, tailored specifically to your leg shape. 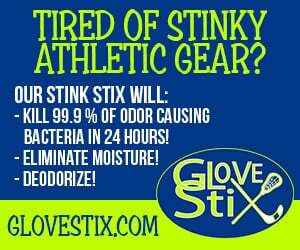 In addition to being re-moldable year after year, they also remain stink free due to their closed-cell foam and come with a free pair of Cobra shin guard sleeves that keep your guards sandwiched in place at all times. Tees of All Time t-shirts are the perfect gift for all soccer fans, regardless of age or gender. Featuring soccer’s most iconic players and moments, these soft, lightweight t-shirts are made of 100% combed and ring-spun cotton and are available in a variety of different colors on www.etsy.com/shop/teesofalltime.